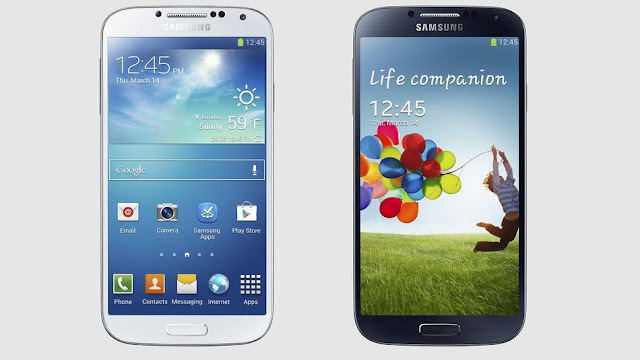 The Samsung Galaxy S4 is a smartphone manufactured by Samsung Electronics. It was announced in New York on March 14, 2013. It is the successor to the Samsung Galaxy S III. It has new software features such as Smart Alerts, Smart Stay, and Smart scroll, a 13-megapixel back camera, and a 5-inch 1080p display. The international version features an eight core Exynos 5 Octa processor with four active cores at any time. It will be available in late April 2013 on 327 networks worldwide and in 155 countries. A curious rumor surfaced today, saying that Nokia Lumia 920 for Verizon will be called Lumia 928 and will feature a different shell and a xenon flash. The Nokia Lumia 928 is rumored to replace the polycarbonate body with an aluminum chassis. The design will also change to something similar with the Lumia 720 and its squared edges. 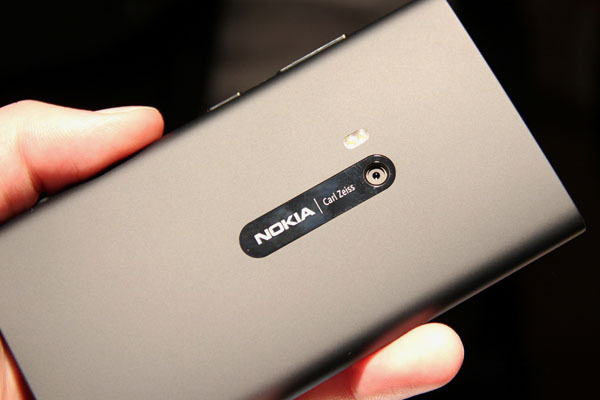 The Nokia Lumia 928 is also expected to be lighter and thinner than its international and AT&T version. Finally, the Lumia 928 for Verizon will feature a xenon flash in addition to the LED one, which will improve the image quality in low-light conditions. The rest of the specs sheet (screen, chipset, OS, connectivity) remains the same as the international Lumia 920 model. 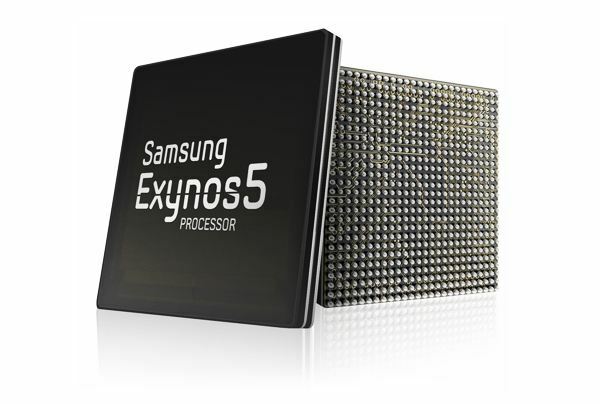 Samsung unveiled the Exynos 5 Octa platform a while ago, but it didn't specify the graphics it used. 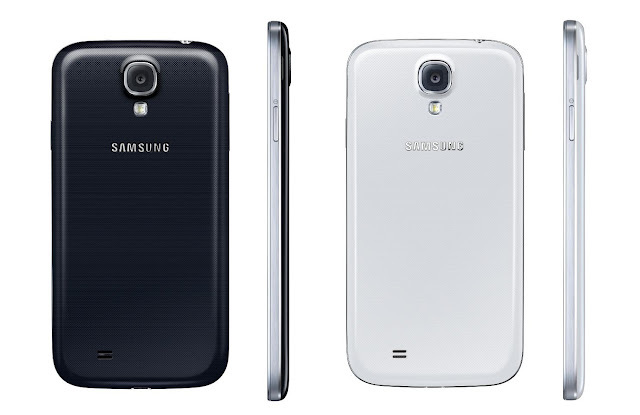 With the Exynos 5 chipset (the one inside the Nexus 10) Samsung used the ARM's Mali T604 GPU chips. Today Imagination Technologies announced its PowerVR SGX 544 graphics has been used in the Samsung 5410 Octa chipset, which will be powering the upcoming Samsung Galaxy S IV. The Power VR SGX 544 GPU is available in three-core (544MP3) and quad-core (544MP4) configurations and AnandTech believes the first of those will be ticking inside the Galaxy S IV. We'll know for sure in two days' time when the official announcement comes. At the CES 2013 event, Lenovo announced a 5.5-inch IdeaPhone K900 phablet. Just after the device was launched, the manufacturer introduced 5 more Android phones to its line-up – IdeaPhone S890, IdeaPhone S770, IdeaPhone A800, IdeaPhone A690 and IdeaPhone P770. All these phones have dual-SIM capability. 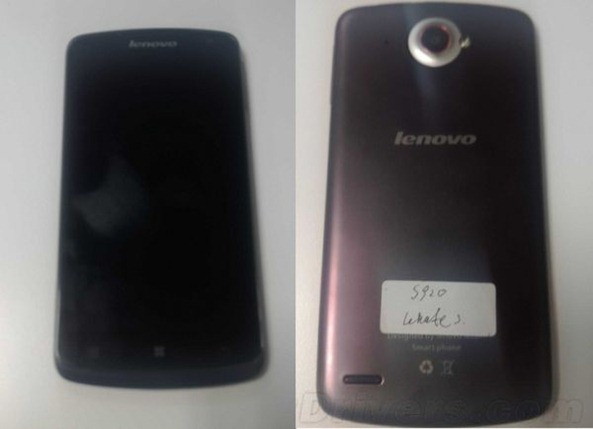 Today, purported leaked images showing the Lenovo S920 has been spotted online. 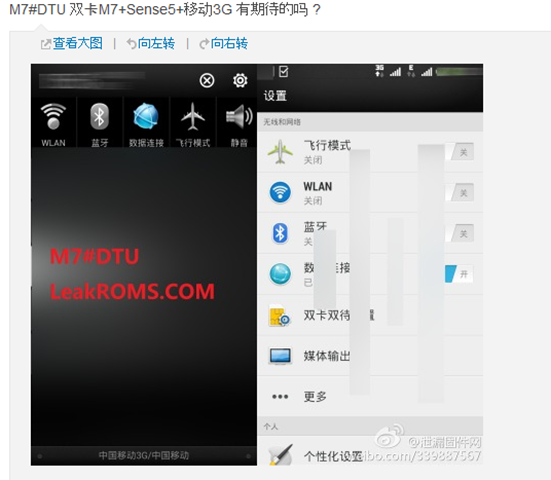 The device is supposedly powered by a quad-core Mediatek MT6589 processor with 1GB of RAM. It is reported that since the performance of the MT6589 processor is slightly faster than dual-core Snapdragon S4 processor, it is expected that the purported device mayn’t be a high-end device. It is also suggested that the Lenovo S920 will be powered by Google’s Android 4.2 Jelly Bean mobile OS and will have a 2,250 mAh battery to power the device. Further specs and availability of the device is not yet known. But according to sources close to MyDrivers, it may be up for sale in a couple of months. We’ll keep you posted. Today, a leaked screenshot of a HTC device has been spotted online. From the model number, HTC M7_DTU mentioned on the screenshot (shown below), we have come to know that the device is one of the variants of the HTC One. The device adopts the HTC Sense 5.0 User Customized interface. Two network antennas are shown on the screenshot of the device. One is getting EDGE network and another is in 3G network. So, it is clear that it has dual SIM capability. It is reported that the smartphone supports TD-SCDMA/W-CDMA/GSM networks. The smartphone will probably be heading to China Telecom. The single SIM variant of the HTC One is already up for pre-order in Canada at $149.99 but there is no info when it will start shipping the device. But in China, the HTC One both Single or Dual SIM may be available by May. 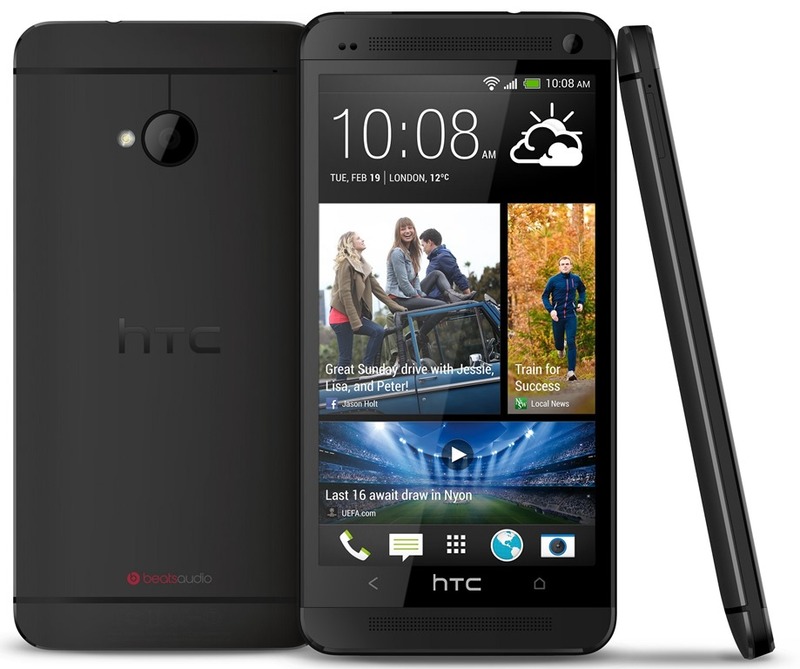 The HTC One is packed with a 4.7-inch Super LCD3 display with 1920 X 1080 pixels of resolution, and 46pppi pixels density. It is powered by quad-core Qualcomm Snapdragon 600 processor clocked at 1.7GHz, accompanied by Adreno 320 graphics processor unit, and 2 GB of RAM, a 4 megapixel “Ultrapixel” camera sensor with a larger sensor and larger pixels, 1080p HD video recording capability (with HDR). 32GB/64GB onboard storage, 4G NFC chip, LTE connectivity, a 2300mAh battery, and more. In the US, FCC approved a device which is likely to be Sprint’s HTC One which features Sprint’s LTE band 25. In the region, T-Mobile and AT&T are also expected to carry the smartphone on their respective networks from March 22. 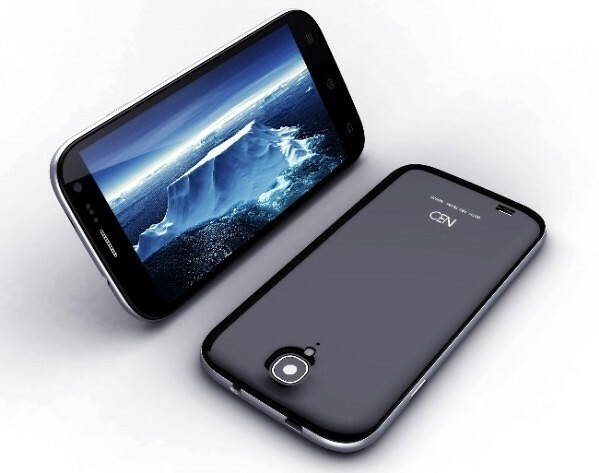 The Chinese market exclusive Neo N003 will be the most affordable Android smartphone featuring a 5" 1080p display. The handset's retail price will start at only 899 yuan ($145; €112) when it hits the shelves in the near future. The Neo 003 will undercut the previous affordability champion toting a 1080p display, the iOcean X7 Youth by 100 yuan. The latter is also available only on the Chinese market. The specifications of the Neo N003 include quad-core MediaTek MT6589 silicon, 13MP camera, and a 3000mAh battery to power the full HD display. A higher end version of the smartphone, priced at 1,499 yuan ($242; €186) will also be available. There are however, no details available about it at the moment. Asus emphasized that with the Padfone you only need SIM card, one data plan, one monthly fee. So why not just make a tablet that makes calls? 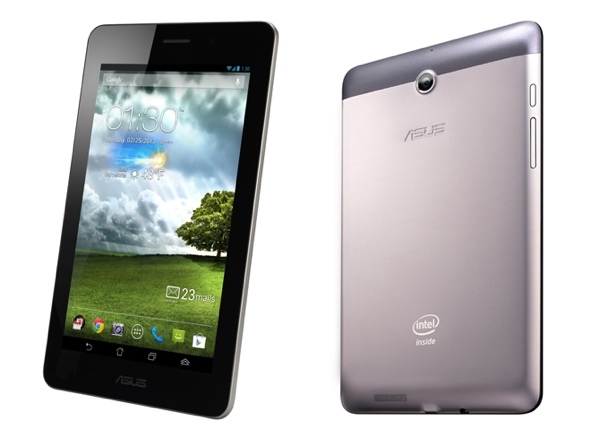 Well, they did – meet the Asus Fonepad. It’s a 7” tablet with an IPS screen of 1280 x 800 resolution. But it also sports full phone functionality with 3G HSPA+ connectivity. It’s powered by an Intel Atom Z2420 chipset with a single-core CPU at 1.2GHz, 1GB of RAM and PowerVR SGX540 GPU. It will run Android 4.1 Jelly Bean at launch. There are two versions of the Asus Fonepad. In Europe, the tablet will come with 16GB of built-in storage and a 1.2MP front-facing camera. It will launch in April for €220. For the APAC region, the Fonepad will have only 8GB of built-in storage but it grows a 3MP camera on the back. This one will launch in March for $250. Both have microSD card slots and 5GB of lifetime Asus WebStorage. Join over 15,000 people who receive latest mobile phone specs, reviews and news updates automatically each time we publish.